Highways England require GIS shapefiles as part of handover information for new projects. These GIS files should contain asset information as per the Asset Data Management Manual (ADMM). Within Sign Design Pro and Line Design Pro, the GIS Export tool targets the design objects into ESRI shape format, including ADMM data and the road marking file itself as a .shp. The ESRI shape format is the standard GIS format used by Highways England. There are 2 formats available to choose from; “REALISTIC” – Shows the road makings as they would be seen in real life, or “H.E.”, Short for “Highways England” – This is a purely linear export to show positioning, again with the ADMM data attached. This is all achieved by pressing one single button. Design objects being converted to proxy objects quickly becomes very difficult to work with, as no one can view complete designs if they don’t have the software installed and licensed on their machine: This is a real barrier to digital collaboration. Both Sign Design Pro and Line Design Pro create objects with full AutoCAD geometry, meaning there is no need for Object Enablers and there are no proxy objects in the drawing. This makes the drawing faster and does not slow the system down. It’s also more reliable when saving and making changes to a design. Importantly no client-side installation needs undertaking so drawings can be shared seamlessly by anyone Including viewers and clients) and opened in any CAD package. Clients and other collaborators do not need to purchase, install or update any additional technology in order to see full designs. Using document management software (such as Bentley’s ProjectWise) is difficult as data loss can be experienced when sharing drawings. Designs can become unstable under these conditions resulting in numerous errors or crashes and ultimately in lost hours due to re-work. The version control added to the software restricts how users can interact with each other; for example, a user opening a design created with version 7 can only open the drawing if they are version 7, if they are version 6 they can’t see the objects. Not with Sign or Line Design Pro, as we ensure that objects and designs and back and forward compatible. Conversion of designs from 2D to 3D can reportedly take up to 12 hours dependent upon size of scheme, because of this some consultants are simply unable to offer this as a deliverable to all clients. Switching to a 3D only workflow is often not possible, not only due to the learning curve required but also because so many deliverables are required to be in 2D. With this in mind, Transoft has developed “one button click” technology for many of its major tasks that are critical for deliverable content; IFC, GIS, Quantification, 3D drawing, 3D Signs: Importantly, this supports familiar 2D drafting workflows but moves 3D intelligence and deliverables into the realm of profitable and achievable possibility. Converting road markings into 3D and draping at the appropriate coordinates/orientation/bearing can achieved with a single button click, . IFC Out exports the Signs and Lines to their respective IFC files for usage in other “BIM” technologies (such as Navisworks), where clash testing can take place. All items are individually tagged with all relevant ADMM data from H.E. document IAN 184_16, and only Sign Design Pro or Line Design Pro objects are targeted in the export, so the user ends up with a relevant and manageable .ifc file. Again, this is achieved by pressing one button. In addition to 3D, it’s important to remember the critical requirements and time savings that are related to 2D data also; such as dynamic targeting and updating of annotation for signage. By incorporating 2D, 3D, annotation, quantification, structural analysis and masses of sign libraries Sign Design Pro and Line Design Pro are able to deliver not just more intelligence, but more trustworthy intelligence. 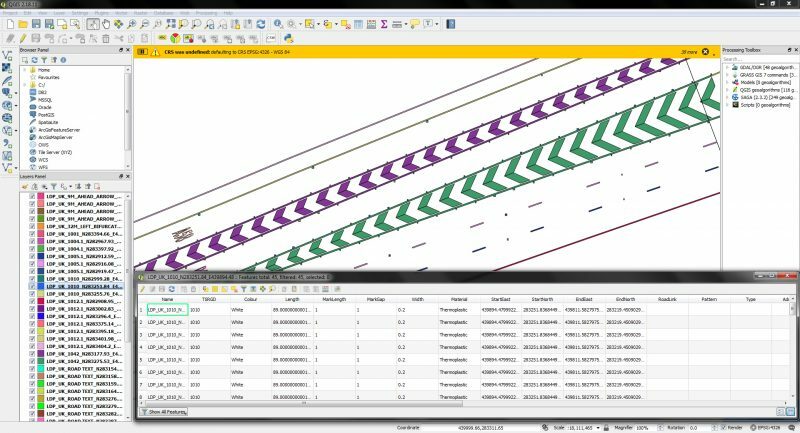 A full take-off of quantities can be performed at the click of a button for both Sign Design Pro and Line Design Pro, in accordance with the Method of Measurement for Highway Works. This not only saves a great deal of time, but also ensures that the design itself matches the schedules. Wind loading structural analysis is built into Sign Design Pro UK as part of the core package; this allows designers to define the needs for items such as passive posts and export full calculations if required, while providing safe and cost-effective post and foundation solutions. 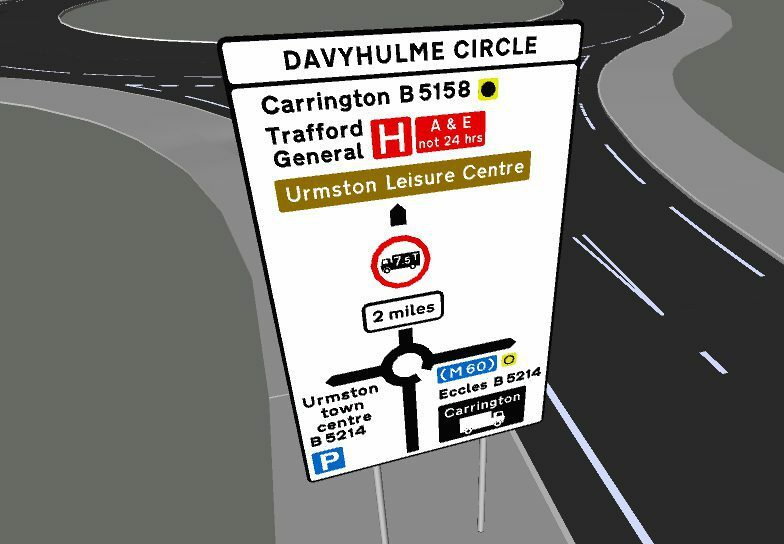 Download a demo, get in contact to arrange a demonstration or find out more at https://www.transoftsolutions.com/emea/signage-marking/.